Branding is a crucial part of any company’s marketing. It helps you create a cohesive image for your company, and promises your customers a uniform quality and experience anytime they shop with you. In order to properly promote your brand, you’ll need to get your whole team on board — and that means laying out the groundwork for how you’ll define and share your message. This may sound like a no-brainer, but many companies don’t present a strong enough image to stick in the minds of their customers. Before you begin promoting your business brand, meet with your team and clearly define your company’s vision and the value you bring to customers. This definition will help you create a strong company logo, and will help chart the course of your other marketing efforts. It also makes it easier to define your ideal customer and target your marketing to people more likely to buy from you. Your branding message shouldn’t be complex or complicated. Who is your ideal customer, and what is the major pain in her life that your product or service solves? How is your company different from your competitors and why should a potential customer end up selecting you over someone else? Answering these questions will give you a general theme to work with. Use a simple, uncomplicated branding message to deliver the answers in your marketing materials. Once you have a branding message, you should decide what voice to use in all of your marketing. Your company’s voice is as important as the message itself, and it should be the same throughout your customer communications. Your business voice helps define and strengthen your branding message in the minds of consumers, which helps create a cohesive image for your company. Once you’ve tentatively chosen your brand, message, and voice, you need to gauge your success by listening to your customers. Pay attention on social media and blogs, and determine which parts of your branding message are working — and which ones still need some adjusting. Lastly, a strong word-of-mouth referral network can do wonders for your company’s bottom line. Work with your team to build a strategy that encourages customers to share your brand message with their friends and family. You can accomplish this by adding “like” and “share” buttons to your website, and encouraging customers to use them. You can also encourage them to share their success stories on review sites, blogs, and their social media networks. 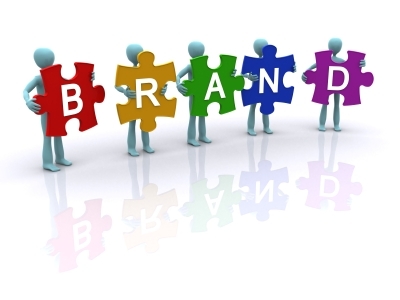 Your small business’s brand image is an important part of your overall marketing. Take the time to create a strong branding message in the beginning, and encourage your team to promote this message in their interactions with customers to ensure your branding is a success.